As you know, this year is the 20th anniversary of Farmer Phil’s Festival. Such an occasion demands something truly special, and we are delighted to be bringing reggae legends ASWAD to play Farmer Phil’s Festival! After fifteen albums and two decades on the music scene, Aswad remains one of Britain’s best loved reggae bands. Originally led by the trio of Brinsley ‘Dan’ Forde (on vocals and rhythm guitar), Angus ‘Drummie Zeb’ Gaye (on vocals and drums), and Tony ‘Gad’ Robinson (on bass), Aswad is renowned among reggae fans for their rich melodies and compelling harmonies, woven over hard rhythm tracks and inspired horn riffs. Aswad (a name derived from the Arabic word for ‘black’) was formed in the Ladbroke Grove area of West London in 1974. Along with contemporaries Matumbi, The Cimmarons, and Black Slate, the band was among the first home grown acts to prove that Caribbean music could successfully take root in Europe. In its early years, Aswad was the only British group to record and/or perform in concert with several top Jamaican artists, including Burning Spear, Bob Marley, Peter Tosh, and Bunny Wailer. (Bunny, in fact, was known to refer to Aswad as the ‘Young Wailers’). The trio first gained national attention in 1976 when their debut release, ‘Back To Africa’, hit the #1 slot on the UK Reggae Charts. ‘Love Fire’, their popular anthem released in 1981, eventually became part of the reggae canon and is still covered today by many Jamaican record producers (an honour no other British band has been awarded). The group’s 1983 Island release, ‘Live and Direct’, is considered one of the quintessential live reggae albums. By the mid-80s, the Aswad rhythm section of Drummie and Tony had contributed to a number of top British reggae hits by such artists as Janet Kay, Smiley Culture, Trevor Walters and Trevor Hartley. Later in the decade, the band became known for their adventurous fusion of such different musical styles as dancehall, funk, hip-hop and dub. Their catchword ‘fresh’ soon became a favourite in Jamaican dancehalls. After a series of successful singles and albums on Island and CBS, Aswad earned international acclaim with their reggae version of ‘Don’t Turn Around’, a song previously covered by both Luther Ingram and Tina Turner. ‘Don’t Turn Around’, released on Island in 1988, sailed to the #1 slot on the UK national charts and was the most-played record on French radio. (A similar pop version of the song was later an international hit for Swedish group Ace Of Base). 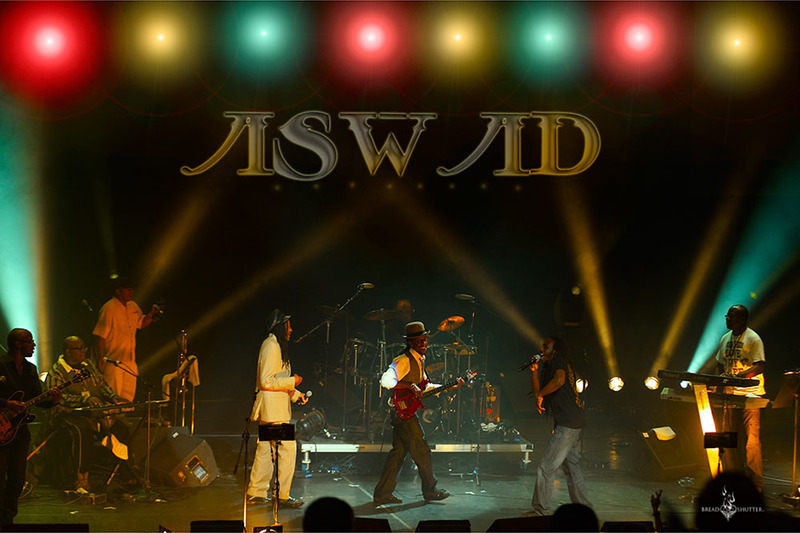 Over the years, Aswad’s recordings have found them joining forces with a variety of artists, including Dennis Brown, Maxi Priest, Hugh Masakela, Steely & Cleevie, Shabba Ranks, and Sly & Robbie’s Taxi Gang. The band has toured extensively, playing to packed houses in such diverse locales as London’s Royal Albert Hall and Montego Bay’s Reggae Sunsplash to West Africa, Israel and Japan. In 1994, Aswad captured a host of new fans with the release of ‘Rise & Shine’, a recording which garnered the band’s first Grammy nomination for ‘Best Reggae Album of the Year’. ‘Rise & Shine’ spent four weeks at the #1 slot on the CMJ New World chart and garnered a Top 10 slot on the Billboard reggae chart. The album was also a major hit in the UK and Japan, where it produced a #1 single, ‘Shine’, boosting worldwide sales to more than 600,000. The band were enlisted as producers for the re-recording of the Prince Buster classic ‘Whine & Grind’ which was used for the Levis TV commercial. Whilst not visually featuring the act, the single achieved Top 20 chart status in the UK. It was during these sessions that the band decided upon the concept for their album ‘Roots Revival’. 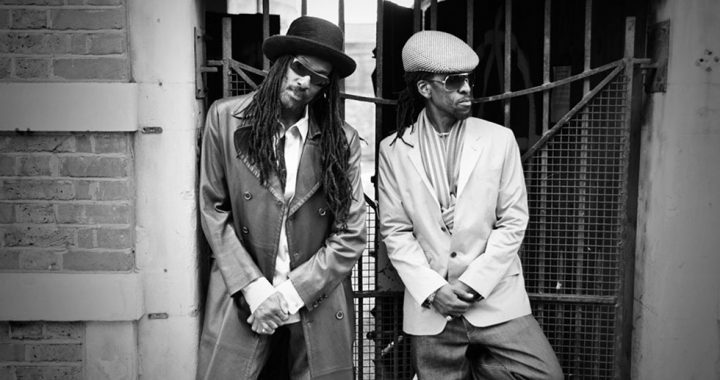 ‘Roots Revival’ reunited Aswad with classic songs from the Reggae songbook including ‘Caution’ from The Waiters, ‘Boom Boom Carnival’ (1998’s official Notting Hill Carnival Anthem) and ‘Peace Truce’ from The Gladiators. The album also included several new songs including the first single ‘Follow’ plus ‘The Best Times Of Our Lives’, which featured vocals from Arab music superstar Cheb Maim, a cover of ‘Invisible Sun’, a collaboration with Sting on The Police classic, previously only available on the X-Files movie soundtrack. 1999 was a big year for Aswad, but the new millennium brought even bigger things for both founder members Drummie Zeb and Tony Gad. 2000 saw Aswad celebrate their 25th anniversary along with a specially recorded live album ’25 Live’ and UK tour. The band also received the prestigious and much coveted ‘Outstanding Contribution To Black Music’ at the fifth MOBO Awards held in October. Aswad released an album ‘Cool Summer Reggae’ on Universal Records with the first single ‘Shy Guy’ (a Diana King cover) featuring Easther Bennett, formerly of Eternal. Aswad, after more than 25 years, are still the purveyors of the UK reggae scene and will continue to be way into the next millennium. Posted in Line-up News and tagged 2018, artists, Aswad, headliner.